The rivalry between Neville and Austin Aries has been heating up over the last few weeks. Good match. Swann spent a lot of time in the ring getting beat up for his team, then Tozawa came in with a burst of energy. This match was a lot of fun. Dasha Fuentes welcomes Neville and asks him about his match tonight. Neville has proven that Gallagher doesn’t belong in the ring with him, and tonight will be no different. Nobody is on the Neville level, except for maybe TJ Perkins. Everyone will kneel to the king. Quite a good match. The combination of Nese’s strength and Ali’s flying makes for a highly entertaining match. After the match, Ali leaps from the top rope to Drew Gulak on the floor. Ali goes to continue the attack on Gulak, but Gulak backs away up the ramp. Jack Gallagher prepares for his match while Austin Aries gives him advice. Very good match. There were some great exchanges in this, and the finish was brutally convincing. Neville again proves how dominant he is, and Gallagher again proves how good he is. 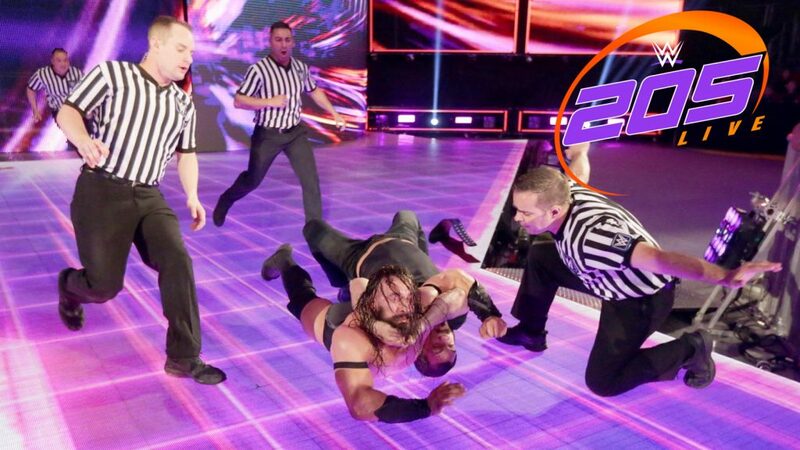 After the match, Neville attacks Gallagher and attempts to put him in the Rings of Saturn on the ramp. Austin Aries runs out and stops him, then puts Neville in the Last Chancery. Another good show, with some very good matches. Not much happened with any stories, but that didn’t really matter. Probably a PPV quality match. Great stuff.